Workplace pension laws are changing, with new duties on employers in relation to their workforce. Since October 2012 employers who have reached their staging date will be obliged to automatically enrol eligible jobholders into a qualifying workplace pension scheme and pay contributions for scheme members. The Pensions Regulator has stated that: “Payroll software is expected to play a key role to enable employers to comply with Auto Enrolment legislation.” With this in mind and the fact that many organisations are struggling to complete the necessary administration on time, we have developed options based around our own payroll and HR software. Our auto enrolment module is designed to efficiently manage the complete auto enrolment process. There is no importing and exporting of data, as it is all stored within the payroll database. Once set-up the assessment routine is integrated into the payroll process and automatically produces all the required employee notices. It can manage all activities related to your staging date, allowing you to be prepared on time. It also provides on-going employee monitoring with automatic notices sent via email when a member of staff becomes eligible for auto-enrolment as well as the management of employee opt ins and opt outs as required. Our auto-enrolment administration service makes use of our software and is designed to deliver a cost-effective solution to the employer duties associated with auto-enrolment. 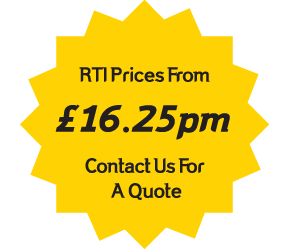 Our service will support the one off peak workload at your staging date and the on-going administrative burden associated with auto enrolment. We can take on any or all stages of the process, enabling organisations to avoid having to recruit or train additional staff, whilst providing assurance that all of your administration will be completed in advance of your staging date and will meet legal requirements. Why should my organisation outsource auto-enrolment? 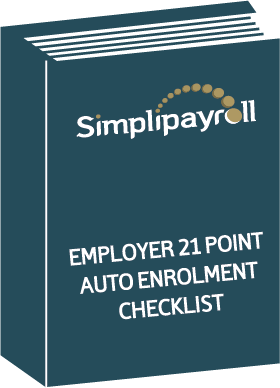 Why should I outsource auto-enrolment to Simplipayroll?